We welcome you to our ministry to internationals at First Baptist Church, Shelby, North Carolina. Regardless of your religious background or language, you can join in our English classes and a number of different religious, recreational and social events offered to give you a home away from home. 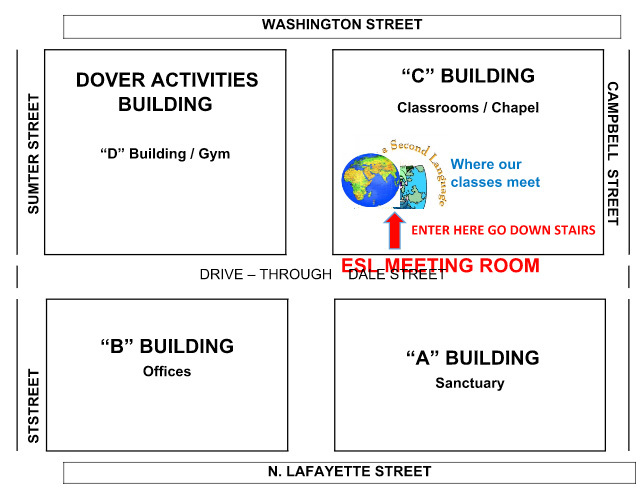 Beginner, Intermediate, and Advanced Classes led by Certified ESL staff and instructors. Instruction in pronunciation, vocabulary, reading and writing. Learn more about American culture. Throughout the year we offer conversational English classes designed to help you improve your listening and speaking skills and we have fun group activities to celebrate American holidays. Through these and other activities you can build friendships with Americans and people from around the world. 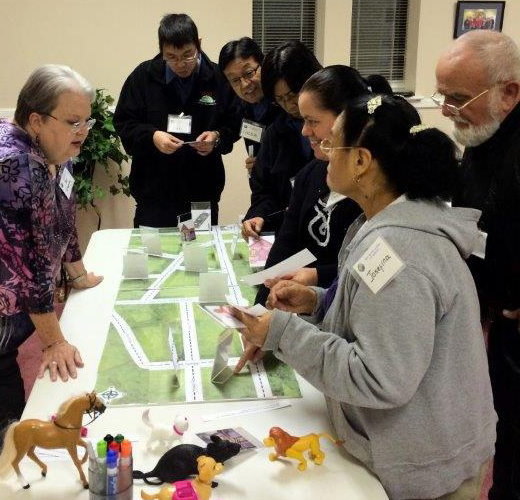 There are many different language groups who participate. We’ve been teaching Conversational English to area Internationals for 10 years! Many have improved their spoken English, made American friends, and learned more about American culture through attendance in our classes and at other extracurricular activities offered. There is no charge for classes, except for textbooks, and registration is open throughout the year. 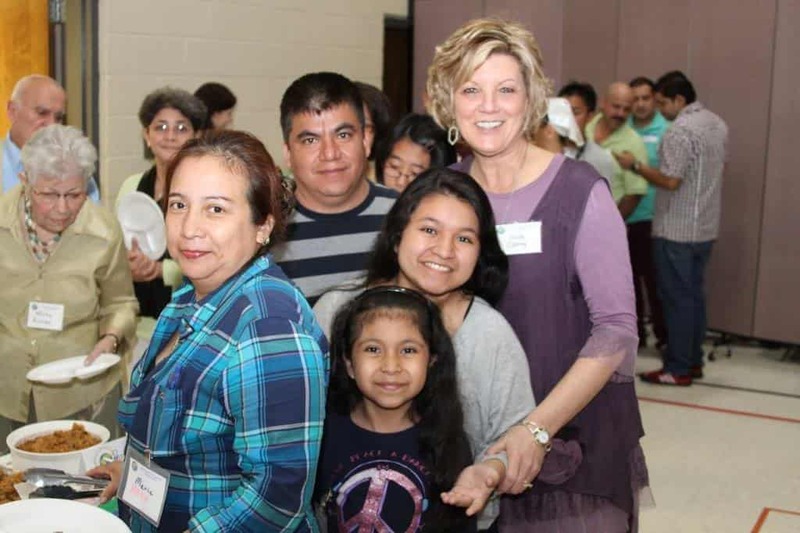 On Monday evenings, classes are taught by certified teachers on three different levels of English ability plus a Citizenship class for those who need help in becoming an American citizen. You are invited to come any time classes are meeting. We will register you and assign you to a class. Whether you have just begun your study of English or you’ve been studying for years and want to learn more or perhaps just improve your pronunciation, we have a class that is just right for you. Our classes are small, so you will have plenty of class time to practice your spoken English and you will have fun!